We all like to think our dogs’ names are the most unique or original, but unless your dog is named Saint Ezmeralda Wooferstein, your dog’s name is most likely something super common. 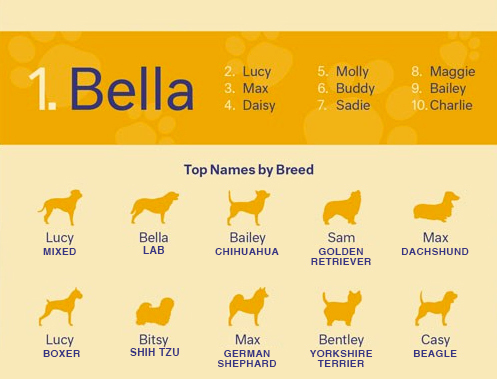 According to a recent nationwide survey conducted by Nextdoor, the most popular dog name in the U.S. is (drum roll, please) Bella! Who knew Americans loved Twilight so much? To view the full list, please click this link to be directed to Barkpost.com. 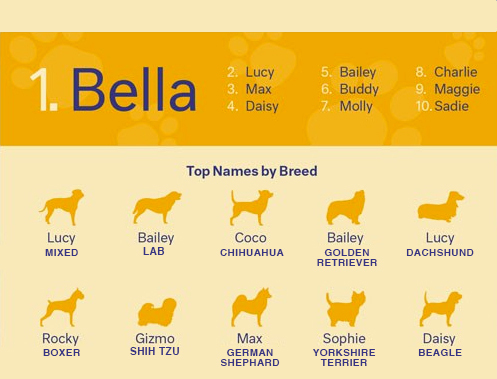 Top Dog Names in the U.S.